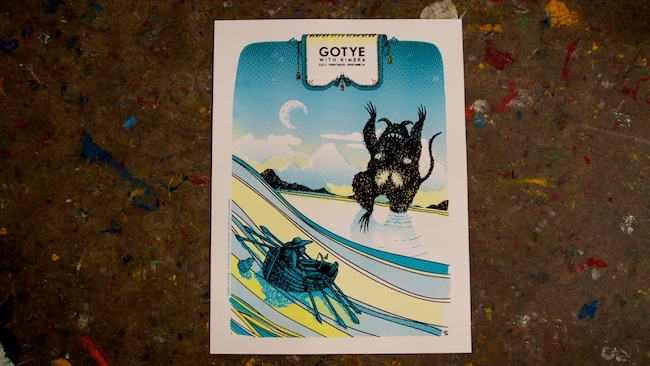 ABNRML was contacted to put together a print for the sold out GOTYE show at The Tower Theater in Philadelphia, PA. As always, we turned to our partners in poster crime T-Bone and Aljax to whip up an awesome print to commemorate the night. Live Nation requested something special, so the boys delivered. Check out this awesome 3-color print on 19"X25" white French Paper cover stock. Their performance was on March 23, 2012. A few limited artist prints are available from ABNRML.com here.